Fit (formerly Access Group) are proud to be the sole New Zealand distributor of some of the most innovative names in kitchen and home storage solutions, ideal for new home builds, new kitchen and renovation projects. Our Kitchen Storage Solutions, Pull Out Kitchen Bins, Laundry Pull Outs, Drawer Systems, Drawer Organisers, Cabinet Lighting and Wardrobe Systems will enhance your lifestyle. We are specialist importers of premium quality kitchen & bathroom fittings and cabinet hardware. Our exclusive products by Perrin & Rowe, Hawthorn Hill and Armac Martin are produced by English craftsmen with a passion for authentic design, quality and durability. Fireclay sinks by Acquello represent the finest in Italian ceramic workmanship. Classical styling ensures these products are beautiful and timeless while never compromising on materials or workmanship results in a level of quality which is unsurpassed in the New Zealand market. Take your kitchen to the next level with our quality products and exclusive designs. We are proud to offer products that are functional and practical, yet boast elegant, beautiful designs. We specialise in affordable European designer sinks and accessories, kitchen taps, cabinet handles and Eurostone quartz benchtop surfaces. Julius Blum founded Blum over 60 years ago in his hometown of Vorarlberg, Austria. 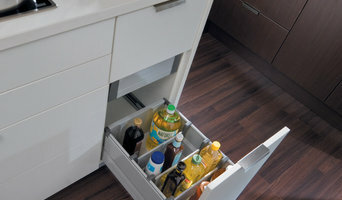 Today Blum is a global leader in lift mechanisms, hinges and drawer hardware systems for kitchens and other living areas, with smart designs and top product quality. From its local roots in Austria the company has grown to employ 7,300 people around the world. It operates seven plants in Vorarlberg as well as production sites in the USA, Brazil and Poland. With 29 subsidiaries and representative offices worldwide, Blum now supplies kitchen hardware to more than 120 markets. You can see, touch and explore the Blum range in its state-of-the-art showrooms in Auckland and Christchurch. 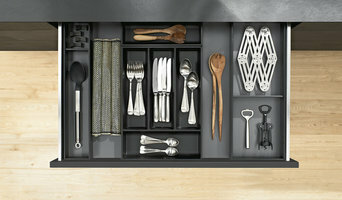 Or go online to the Blum New Zealand website and find out what Blum has to offer. The Blum New Zealand website also has a directory of New Zealand kitchen manufacturers and designers who are familiar with the Blum range. 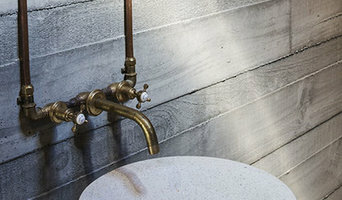 Whether you’re looking for the latest high-fashion tapware for your dream home, or a durable bathtub for a rental, Plumbing World Home supplies all the leading New Zealand and international bathroom and kitchen brands. Our team is equipped with the specialist knowledge and expertise to help you with your renovation or new build. With showrooms nationwide, come in to get inspired and let us help you choose the right fittings for your home. Ultimate Shower is a piece of art for the bathroom. A work of art with both form and function. Each Ultimate Shower is unique. From the type of wood chosen, colours within the wood, inlays used and hardware fitted, every Ultimate Shower owner can be confident that there will never be another that looks like theirs. Please feel free to make special requests and we'll do everything we can to ensure your Ultimate Shower is exactly as you wish it to be. Mardeco International Ltd is an independent privately owned New Zealand Company based in Auckland, New Zealand. We have been importing designer architectural hardware for over a decade now, sharing products from all over the world with kitchen and furniture manufacturers, hardware wholesalers and retailers, architects, interior designers, and kiwis throughout New Zealand looking to add a touch of sophistication to their homes. Mardeco is all about quality, design, and good service. We believe in looking after our clients and ensuring that they can get the products they’re looking for, when they need them. Spring is specialised in drinking water solutions for home or businesses. We are a New Zealand owned business with over 15 years of experience. Hydration Innovation! Boiling, chilled, sparkling filtered drinking water on tap, with a wide range to suit most people and budgets. From simple boiler taps, to integrated sink mixer systems, to full boiling, chilled, and sparkling systems. Backed up by 20 years experience in this industry, plus a nationwide network of service agents. Our brands include Billi, Schwan, Elkay, Cosmetal. Our Brand Purpose - "To inspire the creators of great design, enabling exceptional interior spaces." Archant searches the world for the leading trends, latest materials, hardware, surfaces, and expertise. Curating and bringing them home to New Zealand to empower and inspire our leading developers, visionary architects and interior creators. We are a family owned business with a passion to provide the perfect solution to all of our customers. Our exceptional customer care from quote to installation insures that no detail is missed and that the client is 100% happy with the outcome. With bathrooms being a big part of the investment in any new build or renovation we believe it is critical to get it right. Our ability to offer unlimited customised solutions makes us market leaders in the shower industry. We are shower specialists and this will always be the sole focus of this company. This enables us to focus on bringing the biggest worldwide trends in showers to NZ and further improving on the design. Cabinet Install Services will install your kitchen cabinets to the highest level of professionalism and tradesmanship. We believe in clear communication and on time work with no delays to customer which usually add to the customer frustration. Try Us you'll like us. Laminex New Zealand forms part of the Laminates and Panels division of Fletcher Building Products Ltd, and is New Zealand’s trusted business partner for decorative surfaces and panel products offering expert knowledge and exceptional value to our customers. With market leading brands in our portfolio including Formica, Laminex, Melteca, Caesarstone, Seratone and Strandfloor, Laminex New Zealand offers residential and commercial solutions for all interior spaces. From benchtops and cabinetry, through to structural flooring, wall lining and commercial joinery, there are products available to meet all these application requirements. Laminex New Zealand has manufacturing facilities throughout New Zealand and prides itself on supporting the New Zealand building industry with strong industry associations and memberships. With one of the country’s best distribution networks, Laminex New Zealand has metropolitan and regional coverage ensuring the highest level of local support and service to our customers. Everyone knows that the cost of your bathroom renovation or kitchen makeover will pay for itself when it comes time to sell. Luckily, the fixtures are one area where it's great to be able to express your individuality and create a look and feel that is all your own choice. The installation of flat pack kitchens is just one way these professionals will help you achieve the look you desire. When you pick out your bathroom taps, or you want to change a kitchen benchtop, these tradies have you covered. They are also experienced to install second hand kitchens or new tapware. Use the Houzz Professionals listings to find kitchen and bath accessory vendors. Don’t rule out asking a kitchen manufacturer’s design team for help, too. Skills often can be overlapped to save you time and money! Here are some related professionals and vendors to complement the work of kitchen & bathroom fixtures: Kitchen & Bathroom Designers, Kitchen & Bath Renovators, Interior Designers & Decorators, Joinery and Cabinet Makers. Find kitchen and bath fixtures and accessories, plus installation experts, on Houzz. 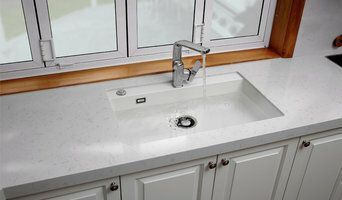 Check out kitchen products and installers, and bath plumbing products and installers, on Houzz. You can also look through project photos provided by renovators, retailers and designers.